6 Month Exposure of Bristol, UK | We got more bounce in Columbus. One of the world’s longest exposures ever. For 6 months between the winter and summer solstice, Justin Quinnell left open his homemade pinhole camera. The lowest arc shows the first day of exposure on the winter solstice, the top curves were captured in the middle of summer. Here is what photographer Justin Quinnell had to say. “I have always been fascinated with astronomy, its immense scales of space and time reaching far beyond comprehension within our own short instances on Earth. The project was to record views of Bristol, with the sun trailing across the sky from the winter solstice (22nd December) to the summer solstice (the 20th of June). This entry was posted on May 5, 2009 by thegrip. 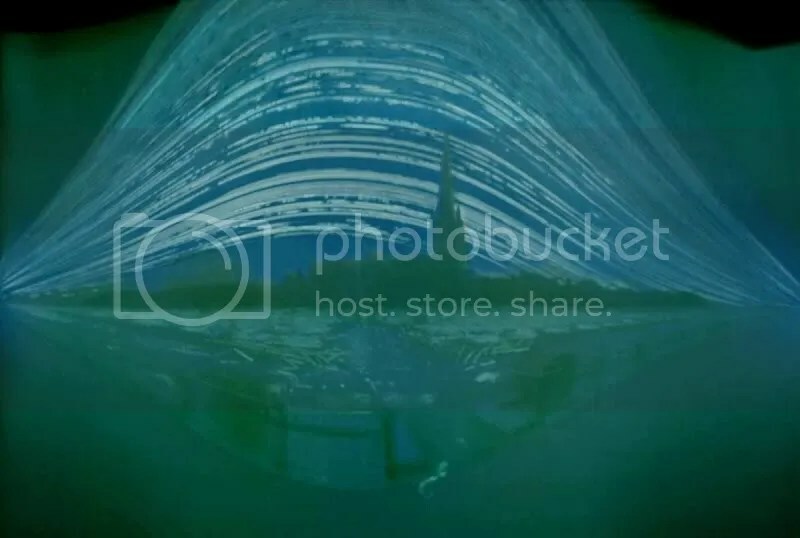 It was filed under art and was tagged with 6 month exposure, bristol, long exposure, nature, photograph, photography, picture, summer solstice, united kingdom, winter solstice.